Download 'TapInOut' app from the Apple Store by searching 'TapInOut'. 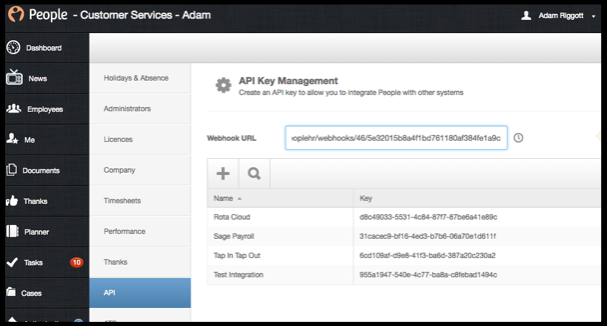 First you require your API key for the integration, this is done by going to settings and click the API section. 2. 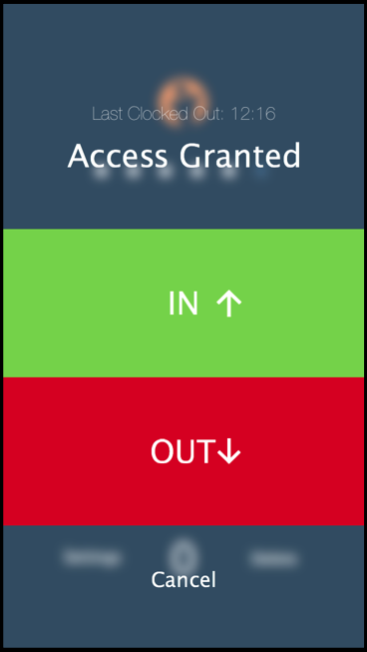 From here click the plus icon to generate a new API key, in here you will have to give the key a name and then select the areas in the system it’s going to retrieve information from. 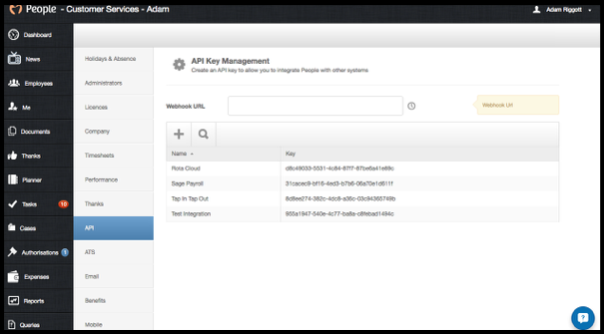 You may need to use the API key for other integrations, so the best thing to do is give access to all areas. Once you have the API key it will appear in the list of existing API’s in the settings menu. 4. 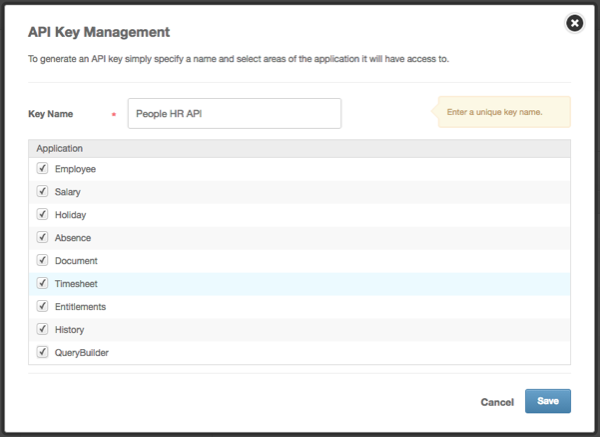 Once successfully logged in, navigate to the 'People HR Settings' tab and paste in the API key you have just created. 5. Now configure the Webhook so that new employees will be given a code automatically. 7. You will need to copy this link. 9. 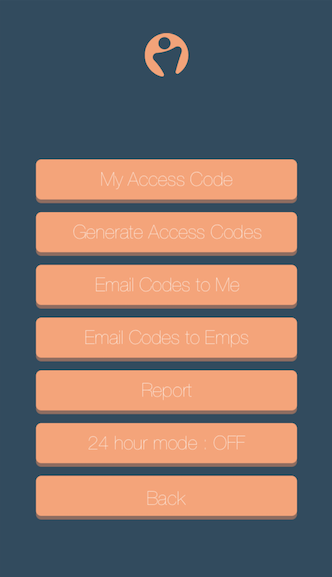 Now the codes are generated they need to be emailed to the employees, to do this you now have to go into the app. 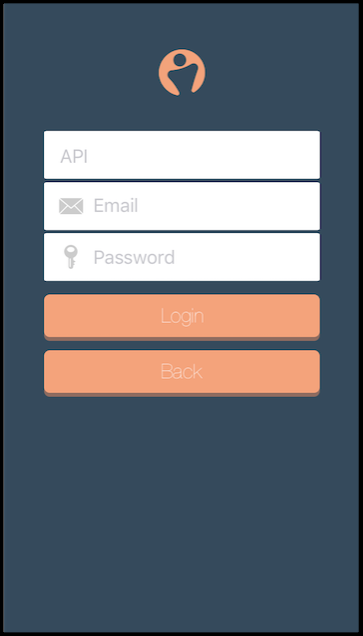 Enter the API Key and the username and password for yourself as the administrator. This will be the ‘Master’ device. 10. Once these are entered you can then press ‘Email Codes To Employees’ for future use. 11. 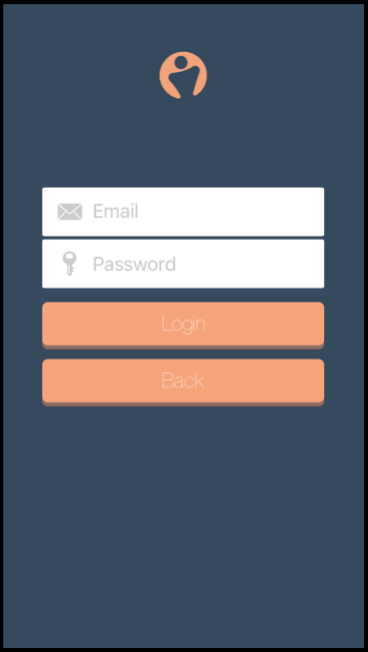 Any new starters can retrieve their code by entering their email address and password, and press the ‘My Access Code’ button. 12. 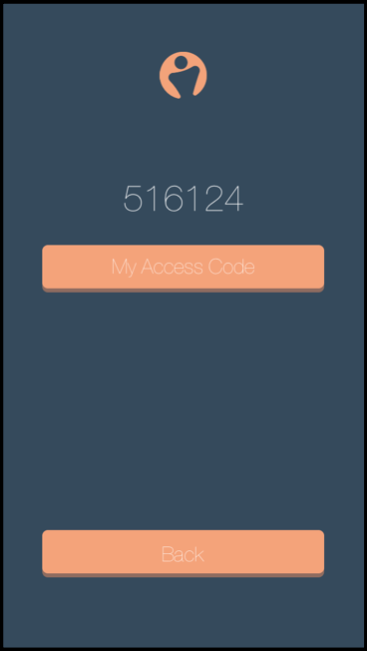 This will show the employee their code to enter in the main screen on the app and Tap In and Tap Out appropriately. Those who work shifts overnight (throughout 2 days), you'll need to turn on 24 hour mode to allow them to clock in on one day and clock out on the next. This can be found when clicking the 'Settings' button.